youth leagues through social sports! Get the squad together with Volo City! Play in Baltimore’s best social sports league – kickball, volleyball, soccer, softball and more! When you play with Volo City, you are helping to create free youth leagues in your community. Join as a team, small group of friends or solo! 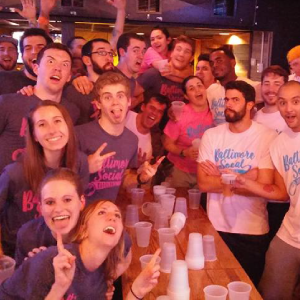 Three Words: Flip Cup Counts! Kick it with us inside OR outside! Dodge, Duck, Dip , Dive and Flip Cup! Sweat at your own pace! We can help you find the perfect activity that fits your company! We have packages for corporate & alumni teams and for friends to join! 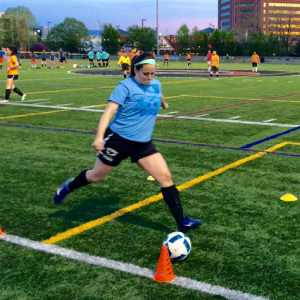 With over 25 fields and 20+ bars throughout Baltimore, our players can find the perfect fit! Work hard, play harder! Literally. Volo City Baltimore is looking for weekly hosts for our leagues. Seeking sports lovers and social butterflies! Please include your resume & how you heard about Volo City.